Tourism business confidence and numbers decline! Tourism numbers are reflecting the damaging impact of the new Home Affairs Visa regulations, with Arrivals on the decline, as is the Business Confidence in the Tourism industry. It is no surprise that the two indicators go hand in hand! New Immigration regulations: Cape Tourism authorities outraged! The Cape Town and Western Cape tourism authorities are outraged by the arbitrary changes which have been made in the newly promulgated Immigration Regulations 2014, especially those pertaining to child tourists, and the effect that this is having already on tourism to our city and province. The implementation of the Regulations has been delayed from 1 July to 1 October, as a result of the uproar it has generated. The new Immigration regulations require parents to travel with the unabridged birth certificate of each child, the only country in the world to require this documentation for travel to another country. The process of acquiring such a document is a lengthy one, one mother writing on Facebook that she had just collected hers from the Malmesbury offices of the Department of Home Affairs after a 13 month waiting period. This branch is the most efficient at such applications, she had been advised. The regulations also require the second parent to agree to the foreign travel by the child if that parent is not part of the travel party. Minister of Tourism’s Tourism Arrivals con! Colin Bell deserves a tourism award for bravery and persistence, in delving into Tourism Minister Marthinus van Schalkwyk’s tourism arrival statistics, and writing what we have been saying for a long time – the statistics do not reflect what we are experiencing at the coalface. Bell has confirmed that the Tourism Arrival figures are over-inflated, and do not accurately represent our country’s tourism picture, given that 16% of tourism arrivals in the January – June 2012 period were transit passengers, flying via Johannesburg to another country in Africa! Writing a Letter to the Editor of Southern African Tourism Update, Bell describes his quest to find out why the tourism picture experienced in the rural areas in particular does not reflect the Minister’s glowing arrival information, having written about this dichotomy previously. Taking Department of Statistics information, the source of the Minister’s announcements, he found that the Department breaks down tourist arrivals by type, being Leisure, Business, Study, Work, and Transit. When Bell compared the first six month arrivals of 2008 and 2012, excluding the Transit passengers, he found that tourism arrivals had decreased by 11,6%, instead of being up by 4,6% according to the Minister’s Arrivals information! The percentage of Transit passengers was as high as 21% in July this year, and 37% and and 48% of the China and Brazil arrivals were in fact transit passengers, respectively! Bell also found that in July 146000 arrivals from Lesotho were recorded, of which 45 were here on business, and the balance on holiday, commenting: “Surely Minister and SA Tourism, these numbers should strike you as irregular?” He added that the inaccuracy of the Lesotho figures should make one question all tourism arrival figures and the method of data collection. The Minister of Tourism’s previous reaction to Bell’s criticism is that he and his department stand by them! They make the Minister look good, and President Zuma even congratulated the Minister in Parliament for his Department’s sterling January – June 2012 tourism arrival performance! One trusts that industry bodies such as FEDHASA and SATSA will tackle the Minister and his department to get them to more accurately reflect the true tourism performance of our country. Tourism performance: why is tourism industry being misled? Increasingly the tourism industry is seeing information that informs it about its successful performance, but this information does not tie in with actual business experience. Yesterday on Twitter Guy Lundy, CEO of Accelerate Cape Town and Board member of Cape Town Tourism, created a PR gaffe (accommodation establishments make up a substantial proportion of Cape Town tourism members) by writing disparagingly: ‘So if the airport & Table Mountain had a record December, why are the hotels crying? Because people want bargains & they’re too expensive’. When challenged on his statement, Lundy quoted the record 813000 arrivals at Cape Town International in December, and its best ever year in 2011, and the record Table Mountain Aerial Cableway 142000 ticket sales from mid-December – mid-January, attributing this success as follows: Positive legacy of 2010 World Cup; increased profile & awareness’. Few tourism businesses would agree with Lundy about the tourism benefit of the 2010 World Cup. 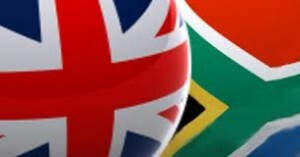 The Tourism Business Council of South Africa also described its 4th quarter Tourism Business Index of 87 as a ‘marked improvement in business performance for the last quarter of 2011’, correct relative to last year’s 3rd quarter (70), 2nd quarter (74,5), and 1st quarter (79) Index measurements. What the Tourism Business Council media release neglected to point out is that the 4th quarter Index of 2011 is below that of the 4th quarter of 2010, which was at at 89. The improved performance was attributed to the COP17 Climate Change Conference and the better than expected festive season. The Tourism Business Index is sponsored by FNB, and compiled by Grant Thornton, the tourism consultancy that got the 2010 World Cup tourism estimates so badly wrong. Pieter de Bruin, Head of Industry Sales at FNB, said that the results showed that there are ‘different cycles in business, such is the importance of South Africa being an events destination and having a healthy domestic tourism market. We trust that this may be the first sign of the industry making a turn into positive territory’. Tourism Business Council CEO Mmatšatši Marobe commented: “When we launched the TBI (Tourism Business Index) project in 2010, one of the key objectives was to develop a business tool which would produce relevant information that will assist us to map out a clear picture of general ‘health’ our (sic) industry. At this point the index is showing positive signs of progress; however it also highlights the important role that the domestic and regional markets can play in boosting tourism trade”. The Tourism Business Index is a national measure of current and future performance of the tourism and travel industry, and sub-sectors within the sector. A score of 100 is the norm, reflecting that the tourism industry is still operating below par. The industry has predicted an Index of 82 for the first quarter of 2012. Durban bragged about its excellent performance over the past two years, claiming to have ‘outperformed other major SA cities’, reports The Mercury, due to the COP 17 Conference, achieving near 100 % occupancy for about a month, and the excellent local visitor numbers over the December school holidays, with hotel occupancy of around 80%, according to the local FEDHASA branch. FEDHASA Cape Chairman Dirk Elzinga would not admit to a tourism crisis last winter, blaming the poor hospitality performance on the Cape scapegoat of Seasonality. Eventually he had to admit that it was the worst season ever. Elzinga has deplored the cancellation of direct flights to Cape Town by Malaysia Airlines and Etihad Airways, stating that Cape Town’s tourism fortune is reliant on ‘direct access’. Once again we would like to encourage the tourism authorities to be honest and realistic in reporting tourism successes, and to be correct in defining the summer season being from October, which showed poor performance with November too, and runs until April. The Cape is currently experiencing a ten-day dip, and yesterday’s J&B Met was the poorest ever for the hospitality industry. Very encouraging is the almost fully-booked February, due to the Mining Conference taking place in Cape Town, as well as Valentine’s Day, with a welcome increase in British tourists too. Tourism Service Excellence standard an excellent initiative to enhance SA tourism competitiveness! The national Department of Tourism has embarked on a welcome Tourism Service Excellence drive, and has released a draft document for comment from the industry until the end of February in developing a tourism service excellence standard and code, to enhance the tourist experience in South Africa. The development of a ‘National Standard’ for Tourism Service Excellence by the South African Bureau of Standards (SABS) results from a 2008 National Tourism Skills Audit Report recommendation that customer care training in the tourism sector should be improved, when South Africa ranked 61st of 133 countries in The World Travel and Tourism Competitiveness Report of 2009, coupled with inconsistent service delivery in tourism, ranging from very poor to very good. The reason for this was stated as being the lack of ‘integrated standards and norms that can be used as a guiding tool in terms of customer service’. To improve customer service, it was deemed necessary to develop a set of policies, guidelines and programmes, to ‘ensure a holistic approach and collective ownership’ for customer service, thereby improving service excellence throughout the tourism ‘value chain’. Such a standard would be developed for all businesses which come into contact with tourists, including the Immigration officials (criticised in the past for their unfriendliness), transport services, accommodation establishments, financial institutions, shops, and any other businesses and authorities which deal with tourists when they make bookings for their trip, when they arrive, and interact with them during their stay. ‘South Africa should be seen as the country that offers the best service, diverse experience and value for money. The overall purpose of this document is to emphasize the importance of the spirit of “Ubuntu” in ultimately achieving the vision of tourism growth and development in South Africa’, states the draft Service Standard document. According to the Service Standard draft, tourism businesses would be required to support the principles of accessibility, accountability, accuracy, capacity building, commitment, consistency, continual improvement, courtesy, responsiveness, safety and security, value for money, and visible marketing in displaying the logo for the new Service Standard, in running their tourism businesses and operations. It is not only written for South Africa, but incorporates neighbouring countries such as Botswana, Mozambique, and Zimbabwe, as if they are service extensions of our country’s tourism product. The Service Standard document identifies government departments, as well as associations and groupings of tourism businesses which should adopt the service standard, and encourages its usage amongst its staff and members, including the Department of Home Affairs serving tourists on arrival and departure at airports; SA Tourism and the International Marketing Council in marketing the country; provincial tourism authorities; municipalities in providing visitor information services, signage, and infrastructure; telecommunication companies providing cellphone services; SARS for customs clearance; airports; the Banking Association; the Tourism Grading Council of South Africa, the industry quality assessment body, not mentioning FEDHASA, the industry hotel association, and the guest house association; the Banking Association; the Restaurant Association of South Africa (although not all restaurants belong to it); the Tourism Business Council of South Africa; and shopping centres. * Product: it should offer quality, choices and alternatives, ensure that there is enough staff to assist the tourists (this is the biggest challenge to the tourism industry, and would require a complete work ethic culture change amongst staff), offer value for money (a very relative term), universal accessibility for the disabled, ensure the safety and security of their clients, ensure guest information confidentiality, be environmentally friendly in its operation, and not discriminate against any types of clients. * Service: should be friendly, professional, guest focused and driven, and offer an effective service recovery. * Marketing: should have a consistent message, be accurate, be updated regularly to create realistic expectations for tourists, be truthful and honest, and not be offensive. Although written in an academic form, the draft National Service Excellence standard is an excellent step forward for tourism service excellence. One is surprised that it has taken the Department of Tourism so long to work on the standard, and that it was not prepared in time for the 2010 World Cup. Most (commercial) tourism businesses would argue that they already apply the principles of service excellence in running their businesses, our country receiving praise for its friendliness and for walking the extra mile, and that it should be the government departments and bigger corporates who have a secondary tourism involvement that should be adopting the new service standard. The document contains a Tourism Service Excellence code for companies to use as a framework to design their own service excellence codes. As with most such documents, it has not been widely exposed to the tourism industry in terms of the input and feedback the SABS is seeking. Last week, taxing tips of waiters and other employees, who receive gratuities from customers for good service, was a hot topic on Twitter and other social media platforms, following the publishing of a clarification of the payment of tax on tips by SARS. Legal views confirm that employers cannot deduct PAYE, the Skills Development Levy (SDL), and UIF from employee income generated from tips, but it also means that the tip income of employees cannot be used as a basis for pension and medical aid benefits. Business Report wrote that “Waitrons can keep their hard earned tips for themselves and don’t have to worry about the tax man… According to the last week’s ruling, the transfer of tips handed over to an employer by an employee for ‘safekeeping’ did not constitute a payment of remuneration”. This view is based on the Group Tips Policy, by which staff pass on their tips to their employers for safe-keeping whilst they are working. Legal firm Cliffe Dekker Hofmeyr is quoted as saying that the Group Tips Policy sees tips “…as gratuitous payments to which the employees have no entitlement or an expectation of receipt as part of the performance of their duties”, and therefore should not be taxed. Far more complex is an article by lawyer Stephan Spamer at ENS and candidate attorney Jonathan Sacks, writing on Moneyweb.co.za. They write that the increased usage of credit cards by customers for safety reasons has led to a large percentage of tips being added to credit card payments, going to the employer instead of the employee. The employer then has to transfer the tips to the employees. According to the Fourth Schedule to the Income Tax Act, 58 of 1962, ‘gross income’ includes ‘any amount received or accrued in respect of services rendered or to be rendered, including a voluntary award, as well as any amount received or accrued in respect of or by virtue of any employment’. The lawyers argue that a ‘causal relationship’between payment received and the service provided must exist for that income to be defined as ‘gross income’. On the basis of this relationship, the writers argue that the tip payment is part of gross income, and is therefore taxable, especially if the expectation at the time of appointment of the employee was to receive tips. The article becomes confusing when the writers argue that the definition of ‘remuneration’, including ‘all payments and amounts payable, in cash or otherwise, whether or not for services rendered and includes salary and wages, leave pay, bonuses, gratuities, commissions, over time pay and other amounts paid for services rendered as well as allowances and advances’, is similar to that of ‘gross income, but that it does not mean that the employer must deduct the valid taxes and deductions. They argue that it is not the employer paying the tip – in essence it is the customer paying it via the employer, who just holds the tip on the employees’ behalf, and therefore as this cannot be viewed as remuneration, no taxes and fees have to be deducted from the monies paid to employees. Employees can, however, request in writing that the employer deduct PAYE to reduced their tax liability. Given their conclusion that no tax is payable on tips by employees, the writers argue that no SDL and UIF is deductible either. Given the complexity and legality of this SARS Tip Tax ruling, we quote an extract of an article on Moneyweb, written by Cliffe Dekker Hofmeyr Employment Law Director Gillian Lumb and associate Pranisha Maharaj: :“The Binding Class Ruling: BCR 027 recently issued by Sars, declared that the transfer of tips (that were handed over to the employer by the employees for safekeeping in terms of the employer’s proposed Group Tips Policy) from the employer’s bank accounts into the employees’ bank accounts does not constitute a payment of remuneration by the employer as contemplated in paragraph 2(1) of the Fourth Schedule of the Income Tax Act. Essentially, this paragraph of the Act provides that an employer who pays or becomes liable to pay any remuneration to any employee must deduct or withhold employee’s tax from such payment. Binding Class Rulings are intended to promote clarity on the interpretation and application of the tax laws to a class of persons who apply for a ruling in respect of a proposed transaction to which it is a party. Accordingly, tips will not form part of the calculation of any benefit calculations for the employees’ remuneration packages, for example pension or medical aid. The ruling is in line with the Sectoral Determination 14: Hospitality Sector, South Africa which defines “remuneration” as ‘any payment in money or in kind, or both in money and in kind excluding any gratuity or gift received from a customer for service rendered”. * Can employees that had PAYE, SDL and UIF deducted between August 2010 and July 2011 receive their tax and other deductions back, from the employer and/or SARS? * Can employers deduct the tip income that went through their credit card machines, and was therefore deposited into the business bank account, from their taxable income for the calculation of VAT and income tax? Interestingly, yet not surprising, the hotel association FEDHASA has not officially published a guideline about this Tip Tax amendment for their hotel and restaurant members! On Twitter, the FEDHASA Cape Director for the Restaurant sector, Rey Franco, wrote that tips received via credit card are taxable, and that only cash tips received by waiters directly are not taxable. We believe that, in the light of the above, he is incorrect. 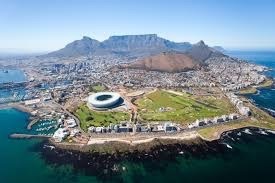 Majority of Cape Town hotels not reacting to tourism crisis! Three months ago we conducted a survey of top-end hotel rates in Cape Town. Given the tourism crisis in the Cape, I repeated the survey on Monday, calling the same hotels, asking them for their August rates. Ellerman House remains the most expensive Cape Town hotel by far, starting at R5000 per room, and the Peninsula All Suite Hotel remains the least expensive 5-star hotel, at R1500 per room. The survey found that the average rate of the sixteen 5-star Cape Town hotels is R 2715 per room, just under R1400 per person, an average decrease by 8% relative to the May rates. Across all 27 hotels surveyed, the average rate per room is R2227, or just over R1100 per person, only 8 % lower on average than in May. Once again it was interesting to hear how the calls were handled, most hotel reservation departments asking careful questions, to identify if the caller was a travel agent/tour operator or a corporate caller, the questioning being very specific in this regard. Holders of a South African ID book or a Protea Hotel Prokard would have had different rates quoted. Few hotels called had a rate sheet from which to quote immediately, having to access their computer for the ‘best available rate’ information, costing time. I was shocked at the poor quality of the call handling and quoting by the hotel Reservations departments, quoting odd rates (i.e. not rounded off) very quickly, making it difficult to understand and record them accurately; interrupting while one was still speaking; having a radio blaring in the background, affecting their ability to understand and hear the request; not all quoting rates with breakfast included, despite being asked for this rate (Protea Hotels quote room only, and refused initially to quote the add-on breakfast rate); an hotel line rang engaged three times; another hotel line was not answered at all; one hotel had a trainee answer the phone, and she did not know that hotel’s telephone number; one staff member sounded in the depth of depression, as if she hated her job; one hotel did not disclose that it is undergoing major renovations, and its rates have not changed due to the renovations; and one hotel switchboard put me through to the kitchen when I asked for reservations, and I had to call again, as they could not transfer me back to the board. Worst of all for the hoteliers whose rooms the staff have to sell is that only one (Victoria Junction Hotel) of the 27 hotels I called had a call to action, asking if I would like to book! Some hotels have not changed their rates in the past three months, or only by a small percentage. The Protea Hotel Fire & Ice increased its rate by an astounding 64 % to R1480 per room, making this 3-star hotel more expensive than a number of 4-star hotels. Interesting is that a number of 4-star hotels are more expensive than some 5-star hotels. The Queen Victoria Hotel rate has increased by 25 % relative to its opening special rate. However, only eleven of the surveyed 27 hotels dropped their rates, noticeably the Newmark Hotels’ The Ambassador and Dock House (by 35%), and V&A Hotel (by 40%). The Cullinan Hotel has also dropped its rate sharply, by 30%, as have the Westin Grand Cape Town Arabella Quays, the Twelve Apostles, and the Crystal Towers hotels. On Moneyweb yesterday, the FEDHASA hotel association was quoted as saying that the ‘hotel industry is being hard hit by the economic climate and there is very little light at the end of the tunnel’. FEDHASA CEO Brett Dungan, who tried to sell South African hotels down the MATCH river for the World Cup, is quoted as saying that hotel rates have come down ‘dramatically’ (by about 10%, according to him) in the past three years, and that hotel occupancy has decreased by 10%. The African Sun hotel group, which operated the 5-star The Grace and The Lakes Hotel and Conference Centre in Johannesburg, has not renewed its operating agreement with these two hotels, saying that the 5-star hotel industry in Johannesburg is ‘no longer sustainable’! The Southern Sun on Grayston Drive in Sandton is also expected to close its doors next year. Singing a somewhat different tune, to that of a few weeks ago, Arthur Gillis, CEO of Protea Hotels, expressed his optimism for the industry. Location is the prime asset of a hotel, he said. “I don’t think the industry is in trouble. I think certain individuals and institutions are in trouble”, he said. Many would disagree! POSTSCRIPT 3/8 : Provincial Minister of Tourism Alan Winde has responded as follows: “It is always interesting to see how markets and management react to these pressures. I am also very interested in the new season where we have seen new airlift directly to CT. From France, Switzerland, UAE, Zambia and more in negotiation at the moment. I have asked for a report on our market fact into these places. This will only be good news if we see bums in seats. I will keep you posted once I get the report”. Hospitality and Tourism student internships more pain than gain! Over the fifteen years of operating the Whale Cottage Portfolio, we have regularly offered hospitality and tourism students the opportunity to do their training at one or more of our Whale Cottages. Our most recent experience was with students of the Tourism and Business Institute of Southern Africa, and we wish to share our experience with this unprofessional Institute, as a warning. In March we received an e-mail from Zakiyya Murtuza-Peerun, who signs her e-mails as Operations Director of the Tourism and Business Institute of Southern Africa, based in Mowbray in Cape Town. I had never heard of this Institute. She requested that some of her students be placed with us for training in “housekeeping/accommodation”, and we agreed to take two students for Whale Cottage Camps Bay, as well as a third for Whale Cottage Hermanus, in the optimistic hope that April would be a busy month, given the public holidays and long weekends. I received a reply from Ms Murtuza-Peerun, stating that she would get back to me with the names of the students allocated to us. I did not hear from her again. Two aspects were different to our experience with other training institutions – we were able to interview potential students in the past, so that we could accept or reject the students prior to them starting with Whale Cottage. To this end, we would receive CV’s of the student candidates. This did not happen. The internship period was odd, in that it started on 11 April, and was to end on 8 May, a very short four week period, not long enough at all for any significant training. From May onwards the hospitality industry goes into winter mode, with barely any guests, and therefore there would be little practical training possible from this time onward – it was surprising that a Tourism training intsitute did not know this! I was surprised to receive calls from two students on 10 April, the day before their start date, informing me of their arrival on the following day. We had no CV’s, nor did we have any guidelines from the Institute as to what its training expectations were of us. The students started at Whale Cottage Camps Bay the next day, and arrived professionally dressed, student T looked smart in a waistcoat and tie, but blew this when he chewed gum at work. We had a meeting with them, read through an overview of what the students were to learn in respect of Housekeeping, and the practical conditions of work were discussed. Student T was requested to be moved to Hermanus, as there would not be enough work for two students in Camps Bay. I called Ms Murtuza-Peerun, to express my dissatisfaction with the unprofessional start of the relationship with her Institute, and she said that she had been ill, and blamed her staff for not having informed us about the students’ arrival. Student R impressed immediately, and although she was only 17 years old, she initially appeared mature. Student T chewed a new piece of gum, and had to be reprimanded for doing so again. I stayed in e-mail contact with Ms Murtuza-Peerun, and documented all the problems that we experienced with the students. Student T agreed to go to Hermanus, but delayed his departure by one day, as his parents did not have money to give him for his meals, so we took care of this for him. On arrival in Hermanus, he expressed his dissatisfaction to his mother that he had been accommodated in a staff room, and that he was not accommodated in the private home of our manager, which had not been promised to him. Student T became hard work and took valuable time of my managers in Camps Bay and in Hermanus, as he was unable to make a bed, not even understanding the concept of a fitted sheet. He did not know how to wash dishes! Both students were first years, having had about 10 weeks of academic training at the Institute, which had included a few days of practical training in bed-making under severe time constraints at the Institute’s “private 5 star guesthouse in Sunset Beach”, we were told by the students, but there was no evidence of this training having had any beneficial effect on the students, on Student T in particular. Four days after the start of the students we were called by a staff member of the Institute, saying that they were placing the students elsewhere, as the parents had complained to the Institute about the work that had to be done by the students. We were not consulted, nor asked for input before the decision was made by the Institute. Student R begged us to keep her on, but the Institute decided otherwise. Being a guest house and not a hotel, our interns are expected to be proficient in all aspects of guest house operation. I called Ms Murtuza-Peerun, and she sounded surprised about the call that we had received. She was in Durban, and said that she had not been consulted by her colleagues about the decision. She also told me that she would fire her Housekeeping lecturer, who already was on a final warning, for the poor bedmaking training of the students. Our managers spent valuable time in sorting out the students’ problems. Student T was called on numerous occasions while he was helping our Hermanus manager to prepare breakfast, and he had to be asked to switch off his cellphone. The Institute appeared to have no understanding of the time pressure on accommodation establishments between 8h00 – 11h00! The five days that the students had spent at Whale Cottage were a complete waste of our time, and disrupted our operation. It was our evaluation that the students were immature, that student T had no social skills and was a complete introvert, one barely being able to understand him when he spoke (yet he had good matric results, we were told! ), and that he would never make it in the hospitality industry. Both students had been moddle-coddled by their parents, and had never helped at home in making beds and working in the kitchen. The Institute had not taught them about dealing with the public, or about working for a business. Ms Murtuza-Peerun did indicate that both students’ mothers were the interfering and protective kind, Student R’s mother having called the Institute at the beginning of the academic year, for example, to enquire about the most suitable colour and type of paper she should buy to cover her daughter’s books! Our experience with the Tourism and Business Institute of Southern Africa has made us decide to not take on any interns again, despite wanting to give back to the industry. In general, we have found many students to not be serious about their studies and practical training (our best student ever completed her hospitality qualification, to move into teaching, as she could not accept the working hours of the hospitality industry!). We blame the tourism training institutes for not screening students on the basis of their suitability for the demands of the hospitality and tourism industry, accepting any student whose parents are willing to pay the often exorbitant study fees. I wrote to Ms Murtuza-Peerun to express my disappointment with her poor organisation of the student placements, and the unprofessional removal of the students by her Institute, and stated that I would warn our colleagues in the industry. In checking out the Institute’s website, unfortunately only after the placements, I noted with interest that almost all the members of the Board of Governors of the Institute have a law qualification, and only one in tourism/hospitality. The Institute has three directors, and its CEO is Rahman Murtuza, the father of the Operations Director! Mr Murtuza’s previous background is stated as having been with Sun International. It did not surprise me that Ms Murtuza-Peerun threatened “whatever action necessary” if I wrote about our experience with her Institute. What was surprising was to learn that only seventeen first years had enrolled for the hotel management course, meaning that less than half would finish at the end of the course, hardly an important supply of future trained staff for an hospitality industry desperately requiring trained manpower! It was also shocking to read on the Institute’s website that the students can in future be placed in jobs in Australia, Mauritius and Dubai – the Department of Tourism, Western Cape Department of Education, FEDHASA, Theta (now renamed CATHSSETA, the T and H standing for Tourism and Hospitality), and UCT’s Graduate School of Business all endorse the Institute, and would be aghast if they knew that their training efforts and association would be wasted on students ultimately leaving the country, when our own industry needs them so desperately!